M.A.C. cosmetics, one of everyone’s favorite makeup brands, is the same age as many of our dear readers. M.A.C. is, and has always been, one of the most exciting makeup companies on the market, offering constant surprise with its striking campaigns and wild collaborations. But how much do we really know about M.A.C.’s history? The Canadian company officially launched in 1985 as Make-up Art Cosmetics. The brains behind the operation were Toronto-based salon owner Frank Angelo and makeup artist and photographer Frank Toskan. Both were destined for success in business right from the start. Angelo had an entrepreneurial spirit since childhood, screening movies in his neighborhood for kids and then forming a successful band in his teens. By ’69, he had opened a chain of unisex hair salons in Toronto. Toskan was also there, working as a sought-after makeup artist. He became fed up with the limited styling tools available, so he began to craft his own. For instance, he hand-trimmed natural bristle brushes to use in his kit. The two met in the ’70s and decided to work together on developing a line of cosmetics for editorial shoots. M.A.C. 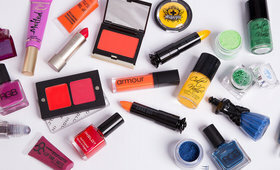 Cosmetics was born and quickly began to blossom in the early ’80s. With Toskan as the creative director and Angelo as director of marketing, they worked out of the kitchen in the back of one of Angelo’s hair salons. Joined by Toskan’s future brother-in-law and chemist Vic Casale, they cooked up their first lipstick, that was inspired by a bold pink Crayola crayon named Flamingo. Toksan himself proclaims it was the first matte lipstick ever to look the same way on the lips as it did in the tube. The finish photographed beautifully and soon the lipstick line expanded to include 23 other crayon-inspired shades, as well as a small range of pencils, bases, and powders. 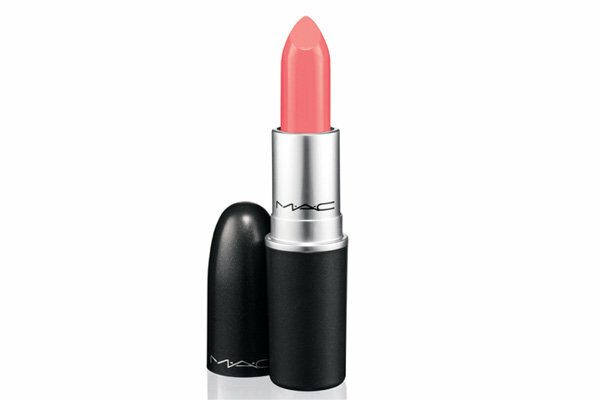 Even before the opening of their first shop, word began to spread of the duo’s carefully crafted products and artists in both Canada and the US started to choose M.A.C.’s vivid shades for their own kits, spreading the word to clients, including then-rising-star, Madonna. The first M.A.C. Pro store opened in 1982 in Toronto, on the corner of Carlton and Parliament. It was less of a retail space and more of a resource for freelance makeup artists—a spot where industry creatives could share makeup tips, exchange portfolios, and buy bulk sizes of the early M.A.C. products to use on clients. However, as more and more M.A.C. products were sold, more artist clients (as well as models) began to yearn for compact products. The duo knew the only way they could respond to the demand was to open a real retail store. With a small team of family members, including Toskan’s mom, the company took the next step in 1985 by opening its first public retail store in New York City’s West Village. Located on Gay Street, the store was situated in the part of the city that was at the epicenter of the tragic AIDS epidemic, and Angelo and Toskan’s unisex, anything-goes approach to makeup artistry was just the dose of color and optimism the community needed. The M.A.C. store quickly became a hot spot for club personalities, drag queens, and beauty eccentrics. Drag entertainer Lady Bunny was even hired to work the door at the crowded store. Playing up M.A.C.’s diversity, the co-founders opted to hire unconventional beauties to work the counters, choosing employees of every gender who often boasted bold hair colors, piercings, and tattoos. M.A.C. was the first brand in cosmetic history to invest in training and education of its staff as well as the customer’s point-of-sale experience. Instead of pushing sales through traditional advertising (e.g., gifts-with purchase, sampling, etc. 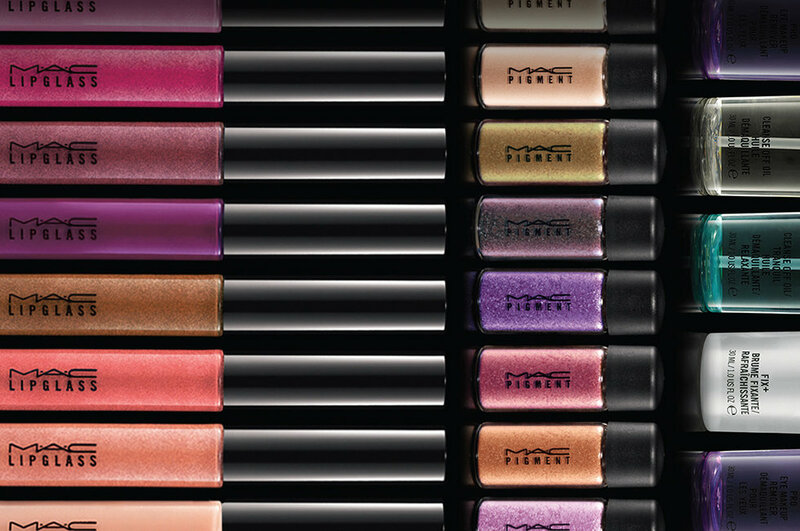 ), M.A.C relied on its meticulously formulated products and its over-the-top image. The socially-centered shop catered to a wide spectrum of gender and skin tone, and the Canadian company was giving the face of beauty a much-needed makeover. 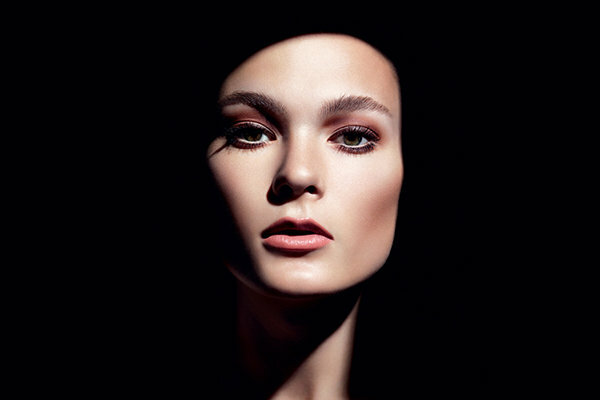 In the ten years to follow, M.A.C. grew quickly. 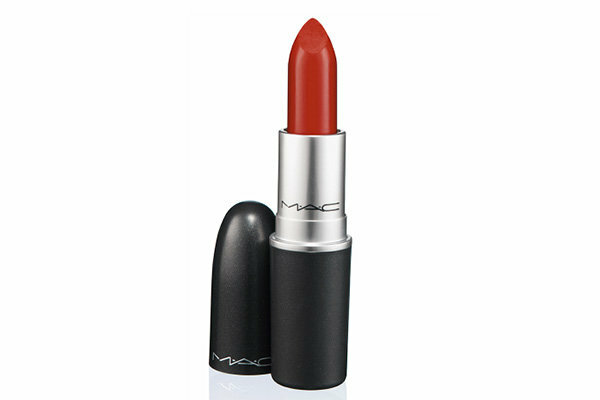 Early convert Madonna requested a lipstick that would last through an entire performance of hers, so Toskan and Angelo formulated Russian Red. 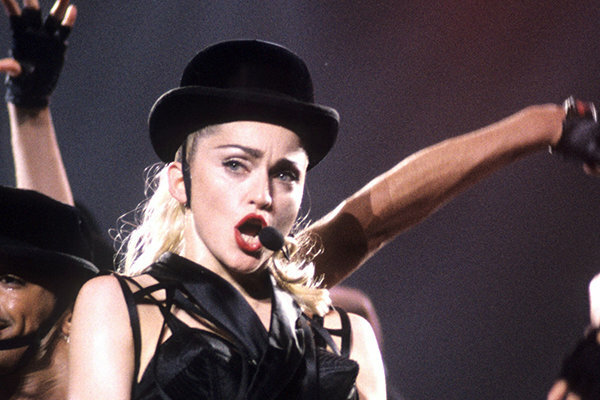 They made the shade specifically for her 1990 Blonde Ambition tour, and it was an instant success. The store began to receive routine visits from major stars like Michael and Latoya Jackson and Japanese tourists would stop in almost daily. When model Linda Evangelista mentioned their Spice lip liner in an interview, it sold out in a flash. in 1994, M.A.C. launched their very first VIVA GLAM campaign. The burgundy-red VIVA GLAM lipstick was modeled by up-and-coming drag sensation RuPaul and to this day, 100 percent of every VIVA GLAM product sold goes to the M.A.C AIDS Fund. Watching the illness claim so many friend’s lives through the early years of the business, Angelo and Toskan felt that this was the way to give back to the community that helped them grow into the major makeup line they had become. Other cosmetics brands took notice, too, and one year later, in 1995, the pair sold half their brand to the Estée Lauder Companies. This extended M.A.C’s distribution across the world. Freestanding retail locations and counters at the biggest department stores began popping up all over, and incredibly fast. Sadly, just two years after the purchase, Frank Angelo died during surgery from cardiac arrest. And it didn’t take long for Estèe Lauder to purchase the remaining half of the brand. In the 15 years M.A.C. had been in operation, the company had expanded to include a whopping 300 stores. Today, M.A.C. boasts over 1000 stores all over the world, including Europe, Asia, South America, and The Middle East. M.A.C.’s VIVA GLAM campaign is still going strong and, to date, has raised over $270 million to benefit AIDS research. Toksan still remains dedicated to the cause. Without its strong core values and passionate founders, M.A.C. would not be the incredible and influential company that it is today. 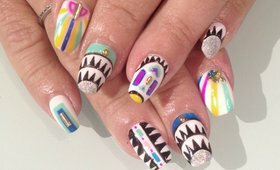 But as serious as their business ethic is, the biggest reason for M.A.C.’s success is their jovial approach to beauty. “We’ve never taken makeup too seriously.” Toskan once told The New York Times, “It’s something to have fun with.” It’s an admirable approach to beauty as well as business. 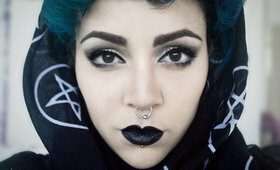 We Love This Understated Look by Billy B.